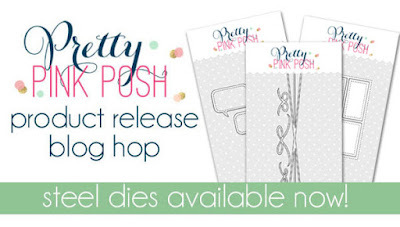 Paper Therapy: Pretty Pink Posh Product Release Hop!! Pretty Pink Posh Product Release Hop!! NOTE: THIS IS MY SECOND POST FOR TODAY! IF YOU'RE LOOKING FOR MY AVERY ELLE THROW-BACK-THURSDAY POST, PLEASE CLICK HERE!! Welcome to my blog!! You should have arrived here from Joni Andaya's blog. I''m beside myself thrilled to little bits to be one of the Guest Designers for this month's Pretty Pink Posh New Release!! I'm a huge fan of the Pretty Pink Posh products, so I was so honored when Paulina asked me to create some projects using her new dies and sequins. And oh my goodness I was so inspired!! This new stuff is AMAZEBALLS!! There are three new die sets being released, as well as several new types of sequins! I have two cards to share with you today, and two additional cards that I'll share in a couple of days!! This project features the new Stitched Speech Bubble Dies. There are so many cute little critters and sweet little people stamp images out there that would be so fun to pair with these speech bubbles. I decided that it'd be fun to die cut a bunch of them and arrange them on a card front to create the background. With the three different sizes and directions of the speech bubbles, along with the stitched detail, the variations add some really fun texture and interest. Super easy to do, and I love the end result!! I actually used the "Press & Seal" technique that Laurie Willison shared on her blog a while back. That stuff is AH-MAZING and so is her idea!! LOL Who knew?!! I can totally see myself using these Stitched Speech Bubbles A LOT!! I've embellished my card with some Sparkling Clear Sequins. Paulina now has them in a Sparkling Clear Mix - 4mm, 6mm, 8mm and 10mm all in the same package! Woot!! I added a couple of the Pink Peonies Sequins, as well. My second project features the new Twine & Bows die set. Oh my goodness - my brain exploded when I saw this die set! I love adding twine to my projects but so often the twine makes using it both bulky and more expensive for postage. Not to mention the potential for damaging the card in transit!! So this die set is GENIUS!! You can die cut it and use it just like you would baker's twine or hemp - but without the bulk!! The possibilities are really endless. I created another card (that I'll share later) where I die cut the twine and bow out of some diagonal striped designer paper, and it looks just like baker's twine!! GENIUS, I tell ya!! And of course I've accented my project with more Sparkling Clear Sequins - they are my faves!! I've listed all of the products that I used below. 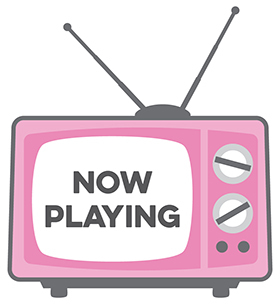 So, as you continue on through the hop today, keep in mind that there are TWO $25 Gift Certificates to Pretty Pink Posh that are up for grabs!! I'd so love to see one of my readers win!! Winners will be picked randomly along the blog hop (comments must be left by 11:59 PM PDT on 8/9/15), and will be announced on the Pretty Pink Posh Blog! So, your next stop on the hop is my sweet friend, Amy Kolling! No doubt she has something incredible to share with you!! I'd like to thank Paulina and Pretty Pink Posh for including me in this hop, for allowing me to play with her amazing products, and for sharing her products and genius with all of us!! Crafting just wouldn't be the same without Pretty Pink Posh, right?!! Thanks so much for stopping by today!! Enjoy the rest of the hop, and your day! I'll be back tomorrow with another Avery Elle project!! You've sold me on the release - your cards are fabulous!! Can wait to get the new release products, love your cards. Gotta get this new release products after seeing all these great cards. In love love love!! TFS!! BTW BINGO playing is awesome!! 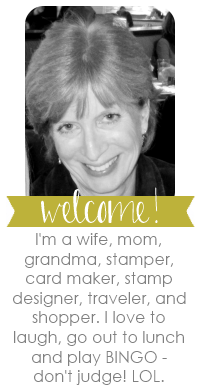 Karolyn, this is a really cute idea for a hello card! Love that pop of bright color! saw the hellos one in a sneak peek and it's even ebtter in "real" life, thank you for the ideas such wonderful cards there! Beautiful cards - i love the pink and green together - and the twine and bow die is awesome!! I'm echoing Kim S: this release is going immediately on my shopping list! Stunning cards! What a creative use of these dies! Your cards are stunning! Love your cards and how you've used these new dies. Gorgeous creations! Very clean and crisp, and great contrasts!!! Lovely cards as well as great use of these wonderful dies. Thank you! Excellent work on these! So very pretty! Your cards re really nice but the speech bubble card REALLY drew me in. I guess I need that die LOL. I love how simple these cards look (even if they aren't)! Great cards. Thanks for sharing! Your cards are so elegant, I love how you used the conversation bubbles. both cards are so beautiful! but your first card is awesome!!! Beautiful cards Karolyn - love the speech bubbles and the ombre sentiment with all the sparkle and shine! Really a knock out! really cool layering idea with speech bubbles. Twine and bows a MUST have!! Love your cards, especially the bow card, nice and simple but yet so pretty. Oh my goodness, the speech bubble die card is just fabulous, just my kind of card! The twine die is wonderful too. Love the hello card! Great job. Love your cards! This hop is showing some fantastic ways to use these dies! I love all your cards but really love the birthday with the twines and bows, so cute and creative! Karolyn! You rock my friend! I totally love your first card with all the speech bubbles! What a neat idea...covering the entire card with the speech bubble die! Awesome samples using these dies, love!! Such a fun use of the speech bubbles. Your cards are always so inspiring. Wonderful clean and simple cards! I particularly like the one with the bow die. Love how you can use the twine and bow die to look like a wrapped present! Love the cards-especially the bow and twine! I love how you wrapped the card with the twine and finished with a bow. I love the die set. I'll be using it a lot. The speech bubble card is cute. Hadn't thought about using them as the background but you can be sure I will in the future. So pretty!!! I love what you did with the new release! Both cards are fabulous!! I love the speech bubbles card....so striking! Loved both cards. Can't wait until the Twine & Bows die is available again. Love your CAS design, the white speech bubbles popped up on the background is stunning, and the bow and twine die is a fabulous detail for the sentiment on this "gift" looking card! So cute I love how the hello die turned out. 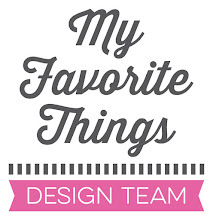 Karolyn, love these dies and your creative projects! Twine and bows - gotta get it. This is genius! Love your cards. Just simply awesomeness ..... your cards are amazing. I love how you used the bow and twine die. This die is calling my name!! Beautiful cards. Love the twine & bow card. I like how you used the new dies and the sequins really make your cards special. Wonderful cards. Love how you used the speech bubbles to create your card. Ha! Amazeballs might be putting it lightly, Karolyn!!! So Cute!!! Oh my goodness Karolyn, I love your cards! They are gorgeous, especially the second one! Love this release! Wow must have taken some patience to get those stitched speech bubbles looking so perfectly placed! You really made great use of the speech bubble dies, love it! Paulina should have you guest design for every new release. Such cute cards! I love both die sets!! Such Fabulous & fun cards!! Love the 1st card!! very Creative!!! Great cards. Love how you used the speech bubbles to create a background and how you criss-crossed the new bow die across your card face. I love your very clever use of the speech bubble dies! Karolyn, you're rockin' this new release! LOVE your cards...LOVE. LOVE these! That twine bow die is amazing! Beautiful cards! Love how you used these new dies! I just love how clean and simple you cards are, yet they are still so pretty!! I love how you let the Hello card have the focus on the sentiment by keeping the rest of the cover simple!! Love the new release and you showcased the products so well. Great inspiration. I'm so recreating these cards!! Thanks for such lovely ideas!! Clever cards. Love the bow! beautiful cards!! love the colors you have used..
Just love the new dies. And the sequins are fabulous! Love that you made a handsome, yet easy, birthday card with the twine and bow dies! Such imaginative projects! Nicely showcase the products!! simple yet effective - adore these sentiments and your use of twine and love the colours. Great idea for using the bubble die as a background. Both are just fantastic Karolyn!! So happy you could hop with us today!! Fantastic job! Love how you used the speech bubbles! Fabulous card, love the white on white! Wow another way to use the stiched speach bubble dies!! I would have never seen them that way. Very creative! What a wonderful idea for the speech bubble die! I am really impressed! I LOVE the simplicity of the first card...so elegant! Love the pink and green bow card...simple but awesome! I love the "happy" on the sentiment! Such a clever use of the speech bubbles. And I love your package and the colors you used. Love the hello card. Such an original take on the bubbles. Your cards are so pretty. Love this release. The Twine and Bows dies are on my wishlist. The new colors of sequins are fabulous. As always, you come up with the most fabulous cards!! I love how you used the speech bubbles to create a 3D background. The colors you used with the Twine and Bow die are stunning. Love the CAS style of both cards. Both of your cards are so pretty! 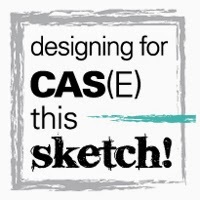 Love the CAS designs! Karolyn these are both fab cards, a lot of fun and eye catching with all the white space. Love the use of the Speech Bubbles!! Great inspiration! Great cards I love how you used the speech bubbles like bricks, just great. Can't wait to use the speech bubble die - who would have thought?!? So creative! Thanks for the technique to stretch the use of my dies!!! Fantastic cards!! These days are so great! I just love that twine and bow die, sold! Love your cards. The Twine and Bows die just keeps getting better and better along the hop! Awesome cards! This is a great hop! I love your card made like a package. I'm loving that twine and bow die. I love both cards, but the first one was so clever with the speech bubbles as the background! I really like the idea of the multiple speech bubbles. Great card! Great cards! I LOVE how you used the speech bubble die cuts to create a background!! GENIUS!!! Well done! Especially love the clean style of the Happy Birthday card! Great card projects with the new PPP dies! Loving your color combos on both the Twine & Bows card and the Speech Bubble die set. I very much like that you tilted that bow, and of course sequins always make great finishing touches. Karolyn, thanks for sharing your super idea of making a 3-d background with the speech bubbles. I love, love, love it. Karolyn, the way you filled the cover of the first card with the Stitched Bubble Dies was wonderful. Just a few sequins add just the right touch to go with the sentiment you beautifully colored. Love it. Sweet and simple. I think I had the same reaction to the Twine & Bows die set that you did. It absolutely screamed at me and blew my mind. Couldn't wait to get my hands on it too!! That die is so beautiful and really doesn't need anything more than what you have on that card. So well done!! Like all those speech bubbles on your card. Sometimes it's the smallest things that make some projects stand out. Thanks for sharing with us. I love the unique way you used the speech bubbles on your card! These new Dies are fabulous and so versatile! I love your "gift" card, so sweet! I love how you used the speech bubbles on the first card, it really looks so professional and clean- if that makes since lol! Love the bright colors on the second one! WOW - your speech bubble background is FUN & FABULOUS!!! I confess that I feel in LOVE with Twine & Bows the second I saw them, so how could I not LOVE EVERYTHING about the ELEGANT design of your SWEET birthday card - LOVE IT ALL!!! Stunningly elegant and way fun cards! Fantastic cards and just love the way you used the speech bubble dies! Fabulous cards for the new release..I don't have any PPP products yet...but I hope some day... Thanks for the great blog hop and for the chance to win! Your cards are beautiful but that first one is amazing! I love how you pieced those speech bubbles together like puzzle pieces! I love both of these CAS cards! The speech bubble background is awesome and the Twine and Bow die is my fav! love both these cards! amazing! How cute! Love the birthday package idea, and using the speech bubble as a background. Awesome cards! Love how you used the Twine & Bows to make that cute package! Such a unique way to use the speech bubble die. LOVE IT. Wrapping a birthday package with two twine dies is so clever! Karolyn, your cards are Amazeballs! Using speech bubbles as you did looks fabulous. Your "wrapped" package card is terrific. Great job as always! Wow! Such classy beautiful cards! Love them!! Oh my goodness!! In love with both your stunning cards!! The way you created your background with the speech bubbles on your first card is just brilliant! The way you used the twine die on the second to make your card look like a present is just lovely! Both gorgeous!! Brilliant cards! I love what toy did with the speech bubbles, and that birthday card is brilliant! I love these cards! Thank you for the inspiration!! Using the speech bubbles as a background is very clever! Love it! Awesome and wonderfully cool styling on these cards and great job showcasing PPP products - you just rocked my world with your clever projects!!! Oh wow! Love the speech bubble card! Very creative! Love your use of the speech bubble dies. Great cards. I want that collection now everyones cards are spectacular! Your speech bubbles popped up card is stunning!TFS! "Creativity can solve almost any problem.